Vintage home décor is a great way to add style and character to your Washington home, while also upcycling and recycling old materials, keeping them out of local landfills. Here are 5 trends for using vintage furniture, décor and antiques to give your home a fresh new look. If you love to entertain, vintage cocktail shakers, and 1950s glassware, decanters and barware are fun to collect. Look for silver or Lucite serving trays to complement your antique highball glasses and metal, glass or wood bar carts that can be refinished to blend with – or contrast if you’re feeling daring – your home’s color palette. These vintage accessories are a fun, affordable way to liven up any party. Need some inspiration? Watch vintage films from The Rat Pack, like the original Ocean’s 11 and Robin and the 7 Hoods, to see what kinds of martini glasses Dean Martin and Sammy Davis, Jr. preferred! Brass is one of those timeless materials that always looks in vogue, no matter how old the piece. Perfect for displaying on a bookshelf, brass figurines, brass candleholders, brass bells, brass clocks, brass pineapples and brass bookends are available in a variety of classic styles and sizes. Browse your favorite Puyallup antique store to find the style that suits your home and add to your collection as you shop throughout the Puyallup Antique District. You may also find brass collectibles in Tacoma antique stores and vintage shops in Seattle. According to celebrity interior designer Martyn Lawrence-Bullard for Vogue magazine, green is a popular choice for 2017, appropriate for everything from vintage draperies and antique area rugs to china and glassware. Elle Décor says that “Greenery” is the 2017 Pantone Color of the Year, which can be used as a neutral or an accent color in your home’s color palette. Think classic wall coverings, antique armchairs, a retro sofa bench, vintage lamps, Fiesta stoneware or green depression glass. Country Living says that multi-purpose vintage furniture never goes out of style. Remember American Empire (sometimes called Federal) dressers and vanities? They are available in a variety of woods, finishes and styles, and can be refinished if they don’t suit your taste. Another easy update is to replace knobs and handles with antique brass handles or glass drawer pulls. These antique dressers are so versatile; you can use them anywhere. A vintage Empire dresser from Puyallup can keep linens in your guest bedroom, organize office supplies in a home office, or create an inviting entryway, complete with handy storage, to your home. If decorating is not your strength or you want advice from an antique expert, ask one of our talented Puyallup antique merchants to help you choose quality vintage pieces that fit your décor or create the ideal motif for your sunroom, breakfast nook or family room. 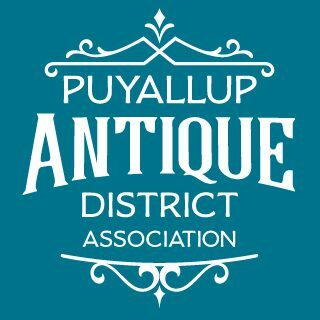 Puyallup antique merchants are knowledgeable and passionate about antiques and vintage décor and will be happy to help you find the stately piece or classic collectibles that will transform your home.